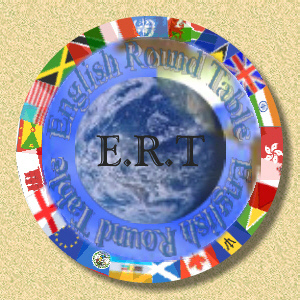 www.ert.from.de - The English Round Table - The place to maintain practice and share your English language skills in Mainz. If you think you should be known to our group, feel free to apply for an entry in this place. www.awctaunus.org - AWCT (American Women's Club of the Taunus) Founded more than 30 years ago, the AWCT is a registered non-profit, non-political organization with nearly 500 members of all ages from more than 35 countries. We have extensive resources as well as a wide range of activities for today's international women. The AWCT is a proud and active member of the Federation of American Women's Clubs Overseas, FAWCO. We take great pleasure and pride in serving our community throughout the year. Our members have volunteered in a variety of ways such as caroling at retirement homes, raising funds for charity, supporting children's pediatric units, training dogs for the disabled, establishing scholarships for local youth, and assisting women's organizations. Won't you join us in helping our local community? www.word-weavers.de/ - Word Weavers Word weavers is a Toastmaster's group in Wiesbaden. Do you know the initiative "Foreigners become friends"? This program is looking for citizens of all ages in Mainz, Bingen and surroundings, who are interested and willing to share some of their free time with international students (also doctoral students or postdocs). As Gastfreund (Host) you let foreign students participate in your everyday life or your leisure. So these people experience the "real" life abroad and they have to not only contact among each other . Most of these young woman and men will stay in our area for a limited time (usually ½ - 1 year). This program supervised by the SIS Mainz (Service International Students) in collaboration with several partners.